The Raleigh Port Townsend is all about the journey, so let the miles roll by in style on this retro-inspired steed. Steel has long been revered for its feel, and one trip on the Port Townsend will make you a believer. 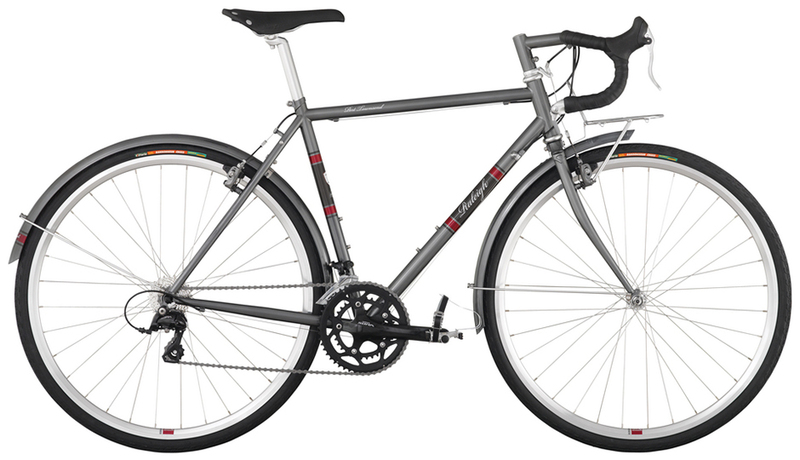 Steel’s inherent ability to damp road vibration makes this bike comfortable no matter how long you’re in the saddle. Raleigh put grippy Vittoria tires which pair up beautifully with the tough Weinmann wheels, while custom metal fenders keep you dry and happy. Shimano’s compact Sora drivetrain features their awesome Dura-Ace bar-end shifters and provides 18 hill-topping gears. A faux-leather Raleigh saddle and bar tape to complete the classic look and since sometimes you need to carry extra gear along, you get a front rack to carry it in style. 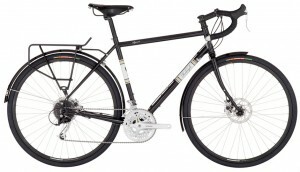 The Raleigh Sojourn is a bike built for the open road and exploring the far side of every hill. Its renowned Reynolds chromoly frameset is strong, efficient, and compliant to smooth the road, while the classic Brooks leather saddle and matching bar tape ensure superb comfort on short jaunts and epic journeys alike. Short or long, this globe-trotting steed is ready for action with lightweight aluminum wheels and smooth-riding, tough-as-nails Vittoria Randonneur Cross tires that can handle pavement and dirt. The Raleigh Sojourn has a 27-speed Shimano drivetrain cruises over the hills, and Shimano disc brakes boast awesome all-weather stopping power. This superb Raleigh touring rig comes with a host of thoughtful extras, such as custom metal fenders, and a rear rack.